Game Informer is keeping the Dawn of X hype train chugging along with the unveiling of a new variant cover. 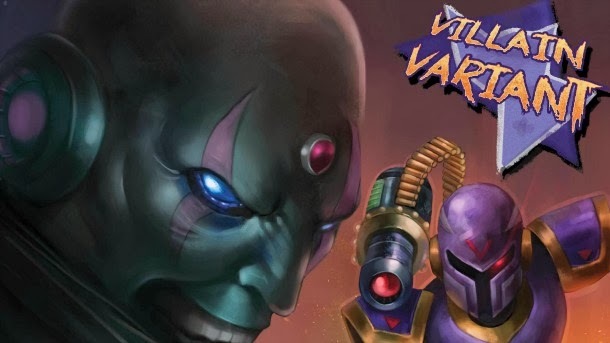 The Mega Man and Mega Man X crossover's first villain variant is entirely hand painted by Erik Ly, featuring an absolutely menacing image of Sigma and Vile. You can see the full piece at Game Informer. I pray we'll get a high resolution version sometime. It is, to say the least, totally wallpaper worthy. That's... that's a variant all right. And a damn good one at that. Wow! That's one sick cover. Wow. Never thought I'd see Sigma actually looking menacing.